DIA LOGITICS CENTER — J.A. Green Development Corp. The JAG Logistics Center at DIA is one of the most compelling and strategic business parks in Colorado. Located directly south of Denver International Airport, this business park provides the closest and most direct access to the airport cargo tarmac of any current or future business park around DIA. Encompassing approximately 250 acres of commercial and industrial zoned land, JAG Logistics Center at DIA is developed, owned and managed by J.A. Green Development (JAG), a family owned and operated business since 1941, with extensive expertise in airport adjacent development. Containing approximately 1,000,000 square feet of warehouse and mezzanine space, will offer maximum flexibility to its occupants. Easily divisible to 5,000 square feet, the buildings are designed and located to move freight faster and more efficiently than any other building in the market. 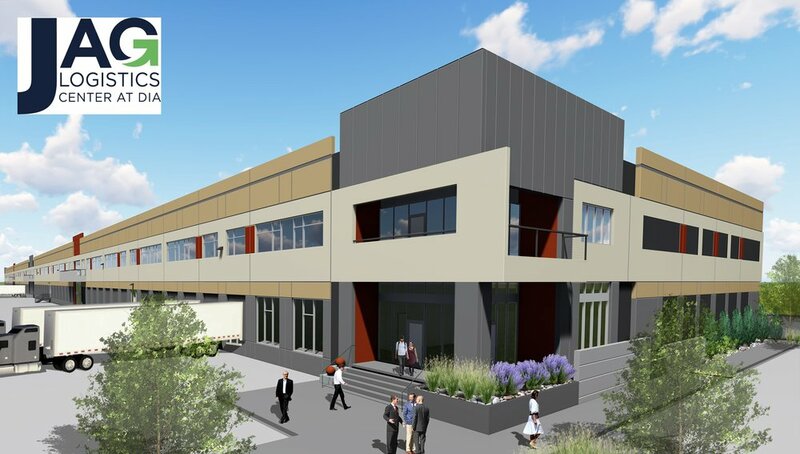 The facilities will offer column free warehouse space to maximize the utilization of the warehouse floor, mezzanine office space for a higher ratio of office space than competing parks, 30’ clear height for practical and efficient racking systems, generous truck courts as well as highly coveted on site trailer parking. 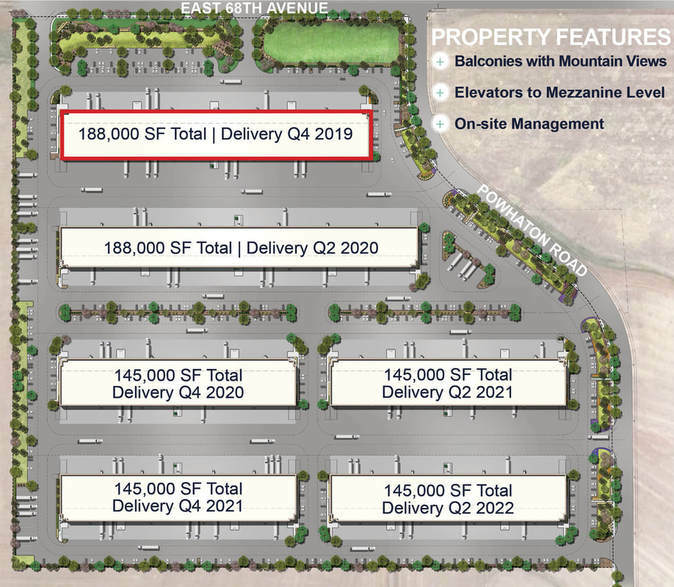 Delivery of the first building, measuring 188,000 square feet, is expected in Q4 2019. With 250 acres and over 3,000,000 square feet of planned development, tenants will have limitless ability to expand and relocate their operations within the JAG Logistics Center as they grow their business. The JAG Logistics Center caters to customers big and small, offering efficient and customized office and warehouse space from 5,000-1,000,000 square feet. The unique modular design provides tenants the benefits of a customized lease space that fits their needs. JAG customizes each lease space per tenant specifications and acts as its own general contractor and property manager, dramatically reducing the delivery time for tenant occupancy.